The grief journey never looks or feels the same for those that have lost loved ones. Grieving patterns differ depending on the relationship, the passing, and the season in the surviving member’s life. No one can truly understand what a griever is going through, but there are ways to be supportive, especially during holidays when one feels the loss even more. Help around the house. Cook dinner, clean the house, and/or bake the holiday goodies. Help with holiday tasks. Wrap gifts, address holiday cards, and/or help with shopping. Listen. Be an active listener. You don’t need to have the answers, or even talk. Just listen to what the grieved has to say. Send a card or call. Be brief, but let those grieving know that you are thinking about them and ask how they are doing. Be supportive. The person grieving might choose to do the holiday differently his year. Honor their wishes and be supportive. Be social. This may feel like the last thing you want to do, but isolating yourself only deepens the feeling of loneliness and loss. Think about the people you will be around and settings you will be in, and choose the circumstance in which you feel most comfortable. Give yourself a break. Try not to have unrealistic expectations of yourself or of the holiday season. This is a new chapter in your life; find the traditions and tasks that suit you where you are now. Set boundaries with your family and friends so they know what they can, and what they cannot, ask of you. Memorialize your loved one. Find something or some way to honor your loved one, whether that be attending a community memorial service, contributing to a worthy cause in their memory, or creating a new tradition that honors their life. Exercise. When you exercise, your brain releases endorphins and helps relieve symptoms of physical or emotional pain. Try to get some exercise each day. Do a charitable deed. There are many people who are grieving, hurting, and desperate during the holiday season. Helping others who are struggling will help you to shift your focus on the needs of others, instead of just your own. Hospice programs provide grief and bereavement support to the entire community, often free of charge, regardless if the loved one died in hospice. Often hospice programs will offer special support groups, workshops, and/or memorial services during the holiday season. 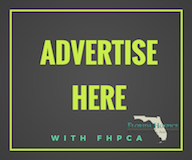 If you would like more information about bereavement support opportunities in your area, contact your local hospice by visiting Florida Hospice & Palliative Care Association’s (FHPCA) Find-A-Hospice page. 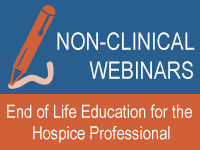 There are several ways you can stay in touch with FHPCA and learn more about hospice & palliative care. Social Media: Join us on Facebook, Twitter, or Linkedin. Website: Visit us at www.floridahospices.org and read our blog The Hospice Voice. Call: Call our Consumer Hotline at 800-282-6560.